The Army Corps of Engineers has awarded contracts worth $8 million for navigation lock repairs at Ice Harbor Dam near Burbank and Lower Monumental Dam near Kahlotus. 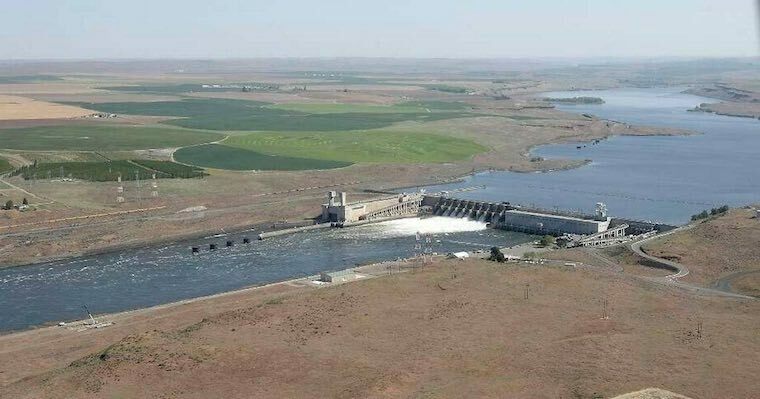 The work, awarded to Knight Construction and Supply of Deer Park, Wash., will be done during a previously announced 14-week-long closure on the Columbia and Snake River inland navigation system. It will start Dec. 12, 2016, and continue through March 20, 2017. At Ice Harbor Dam, the navigation lock's downstream lift gate hoist machinery will be upgraded. During work in 2012, excessive wear was observed. The lock went into service in 1962 and most of its gate hoist equipment needing replacement is more than 50 years old. The downstream lift gate is 91 feet tall and weighs about 600 tons. Similar work is planned at Lower Monumental Dam. A new downstream lock gate was installed several years ago that is heavier than the original installed in 1969, putting the current hoist machinery on overload. The downstream lift gate is 84 feet tall and weighs about 700 tons.